Personalise your Dower and Hall Cherish locket with this pretty daisy treasure with a luxurious 18ct Gold Vermeil centre. 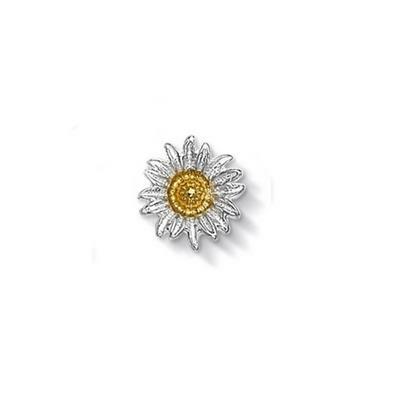 The beautiful daisy is a symbol of purity and innocence, to dream of daisies in spring or summer is a lucky omen. The collectable treasures capture your most precious moments and create a personal accessory that can be cherished for years to come. This charm is 9mm in size and fits the small, medium and large Cherish lockets.